MQ Health provides specialist care of complex shoulder conditions through the MQ Health Complex Shoulder Clinic. The clinic is available to all patients who are looking for a high level of specialist review and second opinions. Our shoulder specialists have extensive experience, expertise and training in an academic research environment. We provide care for patients who have complex shoulder problems including failed surgery. Our dedicated specialists can help you learn about your condition – including whether you should proceed with surgery or another treatment. The shoulder joint is one of the most complex joints in the body that requires subspecialist attention. The shoulder joint has a fine balance of soft tissue and bony elements that allow a wide range of motion whilst maintaining stability. Good shoulder function is integral for all activities of daily living, as well as recreational activities. Many people are prone to shoulder injuries, whether through work, sports or after an unexpected fall. Major injuries often require surgical procedures. Over time, the shoulder joint may undergo degenerative change that may also require surgical attention. The MQ Health Complex Shoulder Clinic offers the highest level of evidence-based care with a collaborative and multi-disciplinary approach. 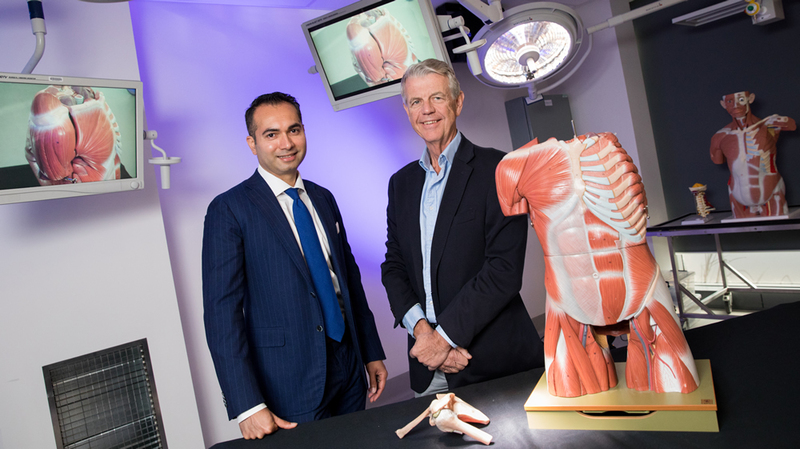 Associate Professor Des Bokor and Dr Sumit Raniga are dedicated, experienced and fellowship trained shoulder subspecialists. Together, they consult and provide both non-operative and operative care of patients with complex problems related to the shoulder. The MQ Health Physiotherapy department works closely with our clinic and the physiotherapy team also have a specialist interest in rehabilitation of complex shoulder problems. The MQ Health Complex Shoulder Clinic offers both non-surgical and surgical treatment options for the full range of shoulder conditions and post-surgical problems.